Dear all AU Samsung Galaxy Note 8(SCV37), S8 Plus (SCV35), S8 (SCV36) users! Your device is still being tightened in using the AU network. You need to wait until your contract with your carrier over. Your Samsung Galaxy phone only using the AU SIM card can make you annoyed in some cases. You won’t be able to use Sim card of any other carrier, which means your phone is locked to the AU network. Our previous post gave you the solution to unlock the AU Galaxy S8 and this post today we are going to share with you how to unlock the AU Galaxy Note 8, S8 Plus, S7 Edge. 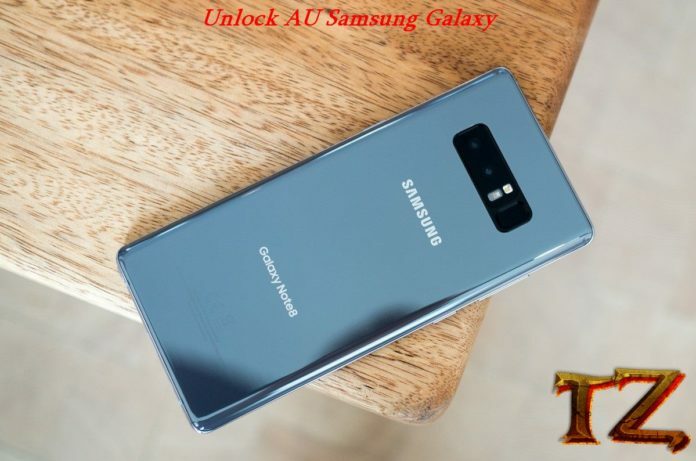 If you are looking a free solution to unlock your Galaxy phone, just keep reading this post. We’ve already tested these ROMs carefully, so you should not worry about flashing the ROM to unlock your AU Galaxy. They support full languages and although there are still some existing apps of the Docomo carrier, you can easily remove them. Charge your phone’s battery to at least 50% to get rid of the unwanted issues. Your Galaxy phone needs to be running on the binary level 1 of Android 8.0 Oreo to unlock your phone. If you have already updated to newer version, try to downgrade it first. We’ll update newer firmware in the following days. You can also use the Samfirm to download the firmware and then follow this post to flash the firmware using Odin.